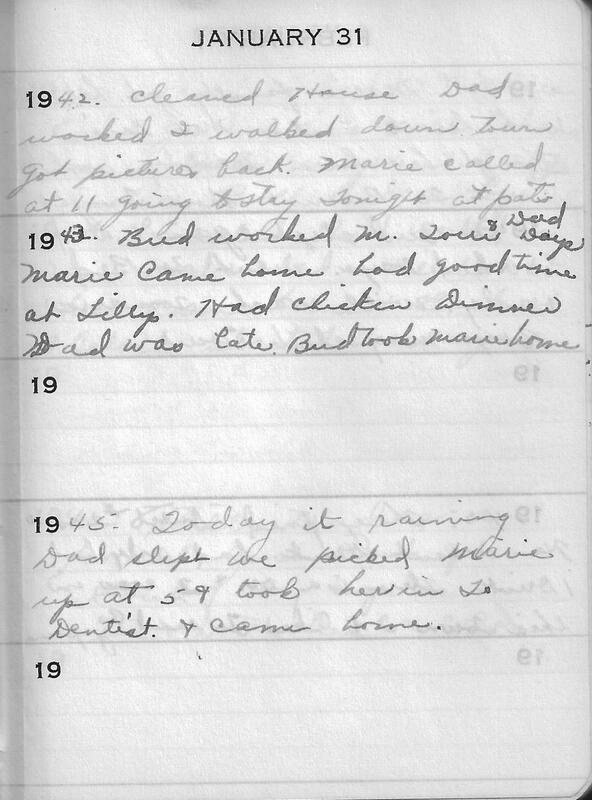 1943 – Bud worked M. Tour & Dad Days Marie came home had good time at Lillys. Had chicken Dinner Dad was lat. Bud took Marie home. 1945 –Today its raining Dad slept we picked Marie up at 5 & took her in To Dentist & came home.